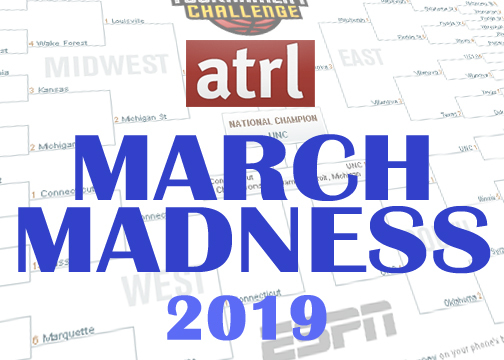 ATRL March Madness 2019 | WINNER! Gorgeous harmonies. Tight choreography. Outrageous fashions. Nascent feminism. And, of course, all of the behind-the-scenes drama. Girl groups have incalculably enriched the pop music landscape since becoming a staple nearly a century ago. We’ll celebrate their legacy—just in time for Women’s History Month!—in this latest edition of the annual tournament you've all been waiting for. Yes, it's that time again! As college basketball fever sweeps the nation, we here at ATRL turn to what we do best: pitting celebrities against one another. We've already crowned the most bloody brilliant British single, the most iconic album cover, Oscar's gold standard Best Original Song, our favorite female video, the one-hit wonder we'll never tire of, the best Record of the Year winner, the greatest #1 hit of all time and Hollywood's hottest hottie. For our ninth (!) edition, we’ll decide which girl group track reigns, ahem, supreme. Throughout the tournament, everyone will have a chance to participate by voting for their favorite songs in one-on-one match-ups, whittling down the field of 64 classics until we reach our champion. But I need your help before we can begin! Please nominate your list of the ten essential singles by a girl group (no ranking necessary) in the thread below. Keep it to one song per act and try to include some variety. These ballots will be used to determine the final list of competitors and help decide their tournament seeds. Now get to it, because the fun begins this weekend and you don't want your picks to be left out! Also - can we make some clarification on what we consider GROUPS and what we consider BANDS? Are all BANDS and should be excluded! It's only fair! Yes. If they play instruments instead of dancing, they're not a girl group. But "Take It Off" would slay the competition! Because Billboard is tripping, mentioning the Chicks as a group and not Wilson Phillips - who were an actual group?!?!? Give me some time and space to think about this! EDIT. They all played instruments. The En Vogue song everyone should be voting for is "Don't Let Go (Love)"! Alright, let me come up with a list. Destiny's Child - "Lose My Breath"
The Supremes - "Baby Love"
Exposé - "Point Of No Return"
Seduction - "Two To Make It Right"
Spice Girls - "Say You'll Be There"
My prediction is that “Wannabe” ends up the overall #1 seed and then gets upset relatively early. Keeping it to just 10 was difficult. Yeah, they are definitely allowed. You should have gone all out and included a few more groups. should I even bother voting for a kpop group? can we all get a consensus on one or two songs? Gee? I a the Best? 4 Walls? CHOOSE HE'S THE GREATEST DANCER OVER WE ARE FAMILY!!! !